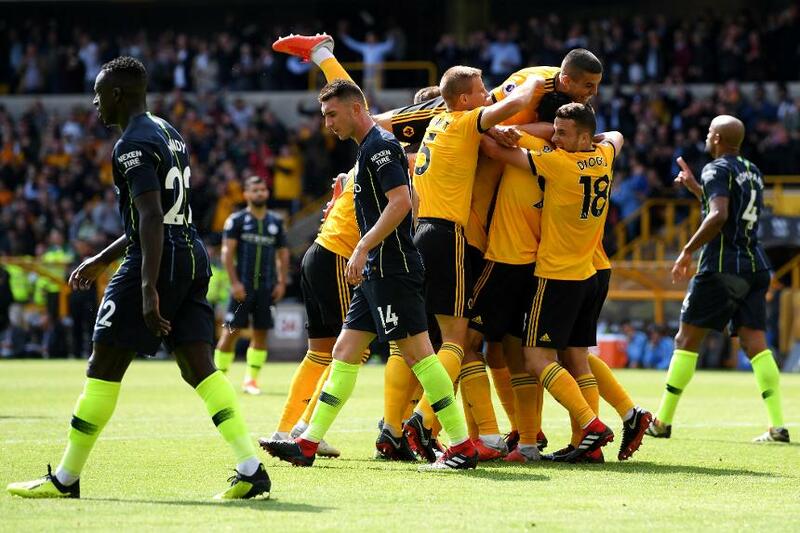 Willy Boly struck for Wolverhampton Wanderers as Manchester City were held to a 1-1 draw at Molineux. Wolves' Rui Patricio made a fingertip save to deny Raheem Sterling's long-range effort on 21 minutes, just moments after Sergio Aguero had hit the woodwork. But it was the home side who broke the deadlock on 57 minutes when Boly scored from Joao Moutinho’s cross. City levelled on 69 minutes when Ilkay Gundogan’s free-kick was headed in for Aymeric Laporte's first goal for the club. Aguero hit the crossbar with a free-kick in stoppage time as City failed to win on their travels for the first time since 3 February. The champions have seven points from their first three matches. Wolves are five points back.